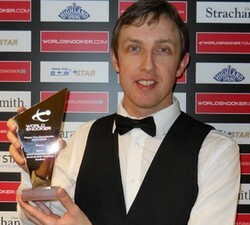 Well done to Andrew Higginson who won his first professional title in his 16-year career by beating John Higgins 4-1 in the final of PTC5. The biggest achievements of Higginson before winning this PTC5 title would be back to 2007 - he reached the final of Welsh Open and knocking his first maximum break in the quarter-finals against Ali Carter. 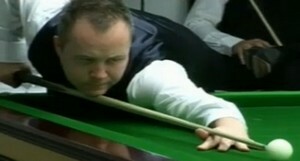 Higginson beaten Higgins, Maguire and indeed Carter on his road to final. However Higginson lost to Robertson 8-9 despite being 8-6 up. PTC5 is Higginson's first pro title in his 16-year career. The 33-year-old from Widnes said he is thrilled to bits: "Even though it's not one of the big ranking tournaments, there were 200 players in it including all the big names, so to be the last man standing is a great achievement. Especially to beat John, the World Champion and best all round player in the game, in the final. He wasn't at his best but I'll still take it. Higginson was rewarded 2000 ranking points for the first prize as well as 10000 pounds. This puts his provisional ranking closer to the top 16. The next cut-off points which will be after PTC6 in Poland which held next week. Top 16 Players can be seeded to play the two of the biggest tournaments in the year, UK Championship and The Masters. "Getting into the top 16 is one of my main goals," added Higginson. "There are six or seven other players fighting for it and I had to win this to give myself a chance. I'm in the mix now and we'll see how it goes next week. But if I don't make it this time then at least I'm getting close to it." Higginson defeated Higgins by 4-1 with 78 and 63 after ending thrilling run of Jack Lisowski in the semi-finals. Lisowski won four consecutive deciders to move to the semi-finals before losing 1-4 to Higginson. The runner-up Higgins convincingly defeated Ryan Day in last 16 and Neil Robertson in quarter-finals. The big victories will help to push Higgins play better in the coming tournaments.